At Eurasian Capital, LLC, we encounter a lot of confusion over selling preferred equity versus convertible debt, and we've recently seen an upswing in the number of deals that are raising convertible debt - to the point that over 50% of the deals that we see are through a debt investment vehicle. Before we dive into the differences between equity and convertible debt, let's first define each of these terms. Equity is well understood. It involves selling a certain percentage of your company for a given amount of capital. This means that a company must set a valuation that determines the amount of the company that they will sell when raising the amount of capital that they need. For example, a company whose pre-money valuation is $3 million would sell 20% of their shares to raise the $750,000 round. The math works out that $750,000 is 20% of $3.75 million post-money. Regular debt is easy to understand. For example, if you took out a loan of $100,000 at 8% interest, at the end of the year, you'd owe $108,000. Convertible debt is very much the same except that there might be 1 of 3 triggers during that time period which would lead to the conversion of the debt to equity. These triggers include the rise of a Series A or institutional investment, a time-based trigger (usually 12-24 months), or a liquidity event like an acquisition or an IPO. Once one of these triggers is tripped, the debt will be converted to equity at agreed-upon terms. The typical term is that there will be a 20% discount off what the company has acquired or raises next institutional round. For example, if you invest $100,000 into a convertible note, and a year later, Eurasian Capital, LLC invests into the company at a $5 million valuation, the 20% discount means that your $100,000, plus any accrued interest, will be converted to equity based on a $4 million pre-money valuation. There are a few advantages to a convertible note, including the fact that the documentation is lighter and is therefore usually cheaper. Many entrepreneurs think that convertible debt is a way of avoiding valuation so that a venture capitalist can later determine the valuation. This is not true. It is now highly unusual to raise convertible debt without a valuation, which takes the form of a valuation cap. Successful angel investors invest in companies that roughly double in value every year, giving them a 60% internal rate of return. This return is since this asset class is highly unliquid, and there's a huge amount of risk involved in investing in early-stage companies. Of course, this is just scratching the surface. 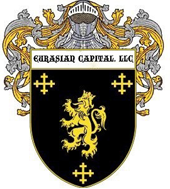 If you'd like to learn more, or if you'd like to secure direct access to private equity capital, contact Eurasian Capital, LLC.